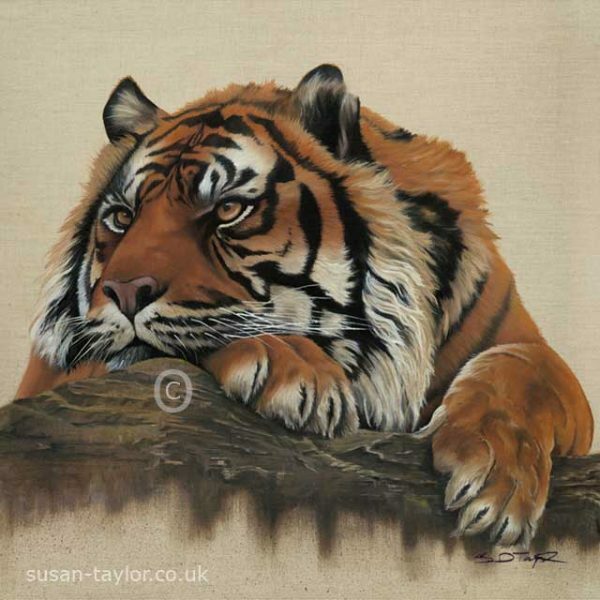 I have a great love for cats and have two myself, but the big cats take my breath away, the Tiger being one of them and truly the king of the jungle. 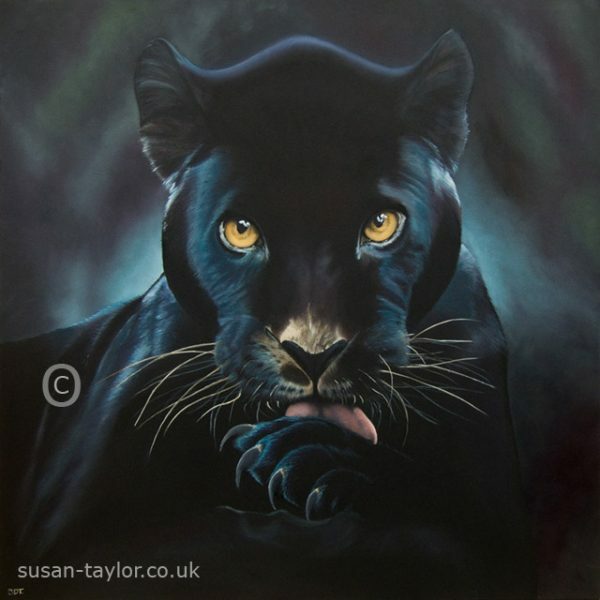 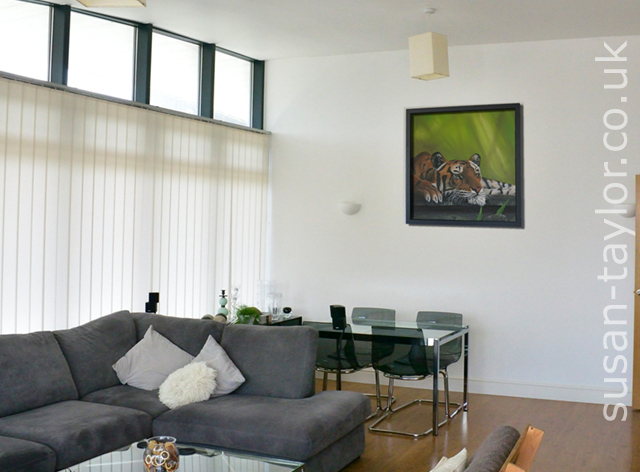 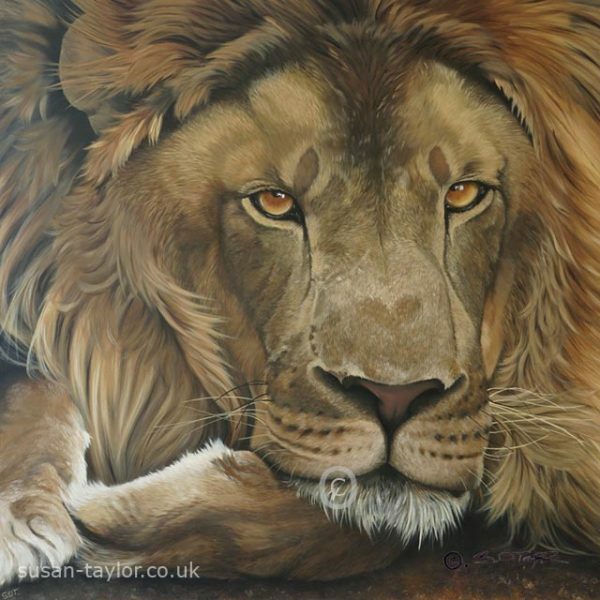 So I have painted four 1 metre square oil paintings depicting four of the best known big cats from 3 different continents . 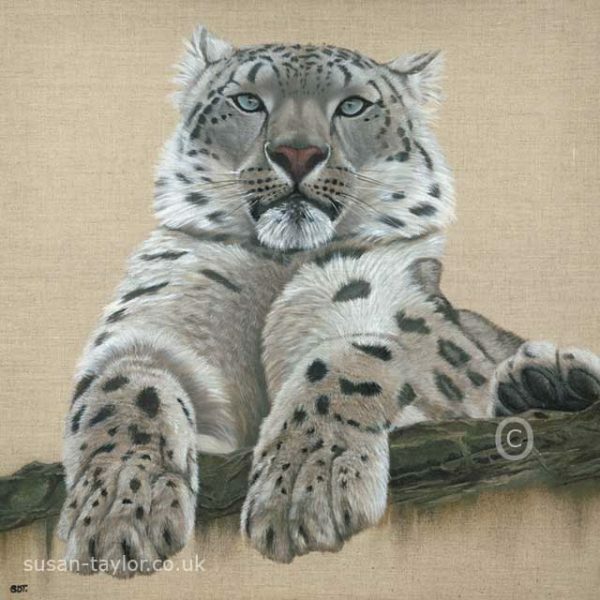 This one I call ‘Just Chilling’ because he simply looks chilled out. 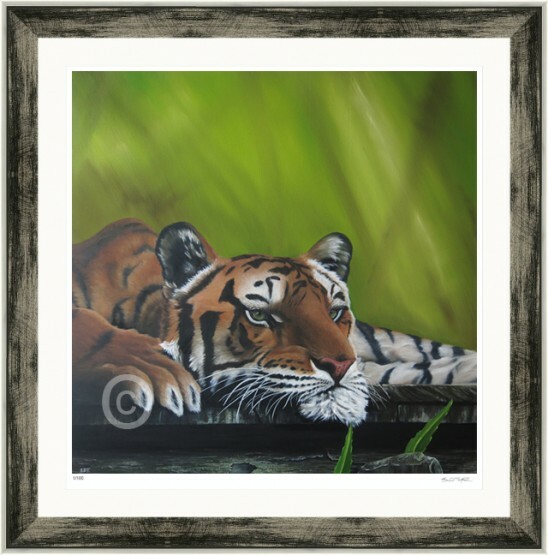 Resting on a man made foot bridge in the jungle, perhaps full of dinner or maybe just waiting for the right moment to catch dinner, who knows! 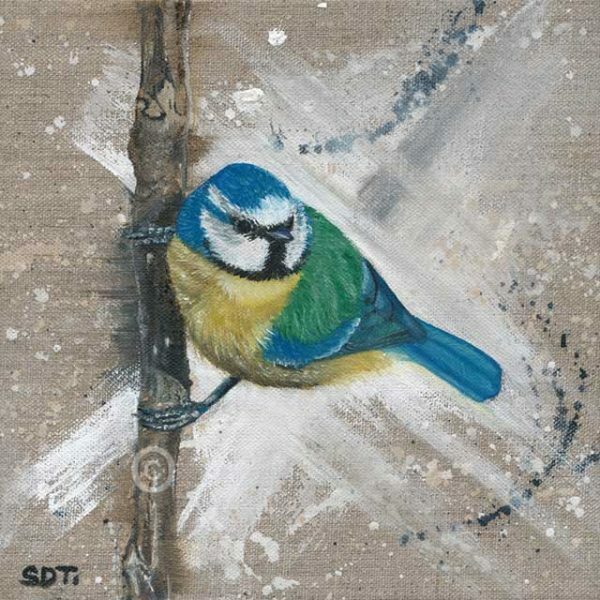 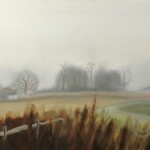 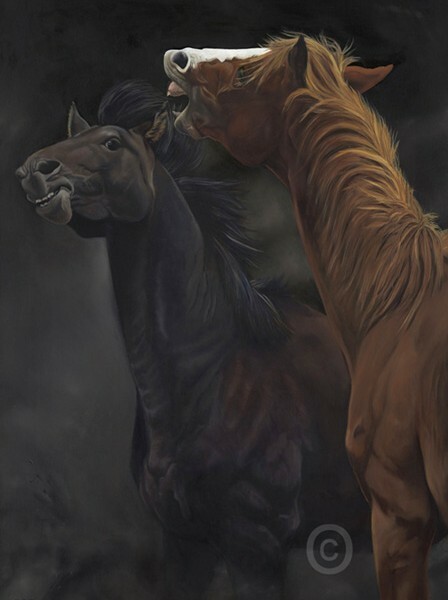 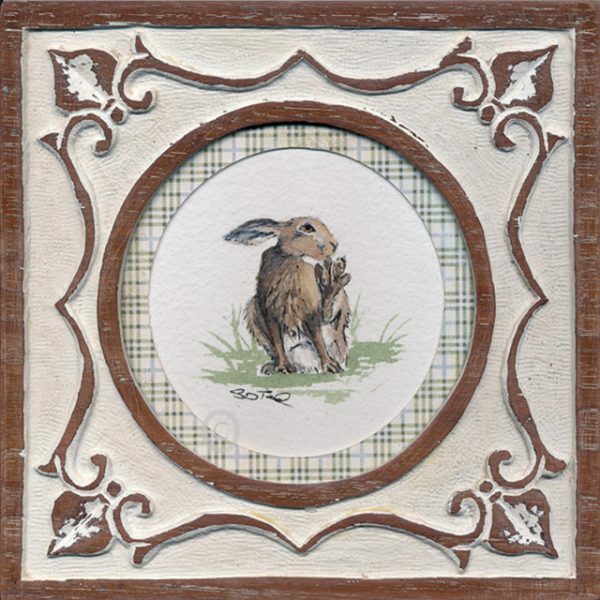 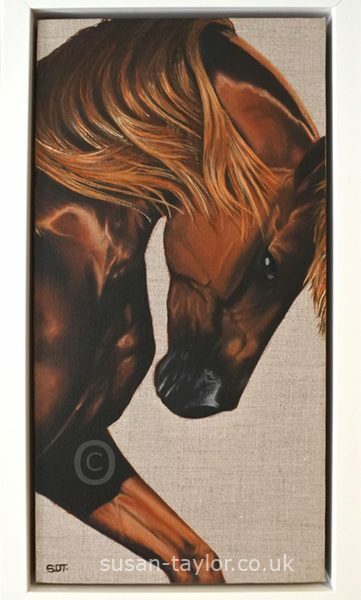 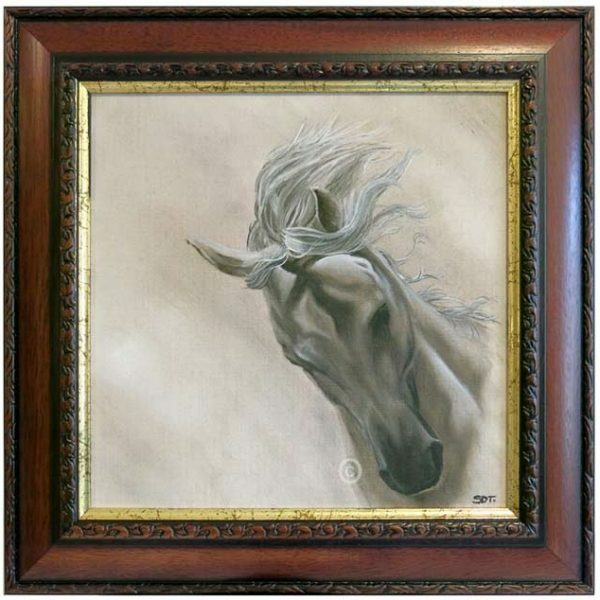 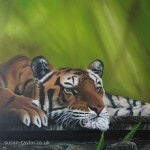 The original is 1 meter square and painted in oils on canvas 4cm deep. 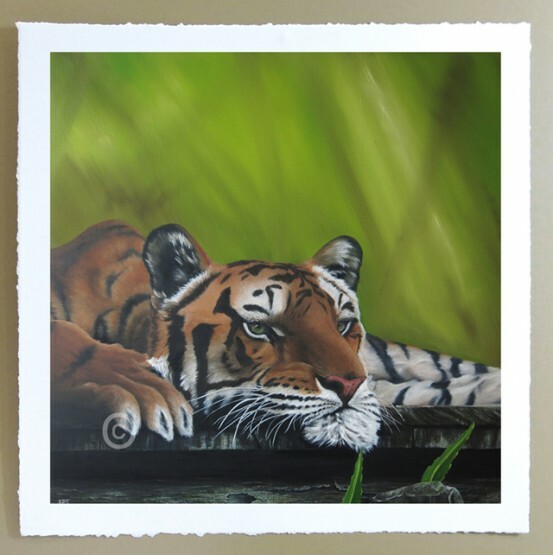 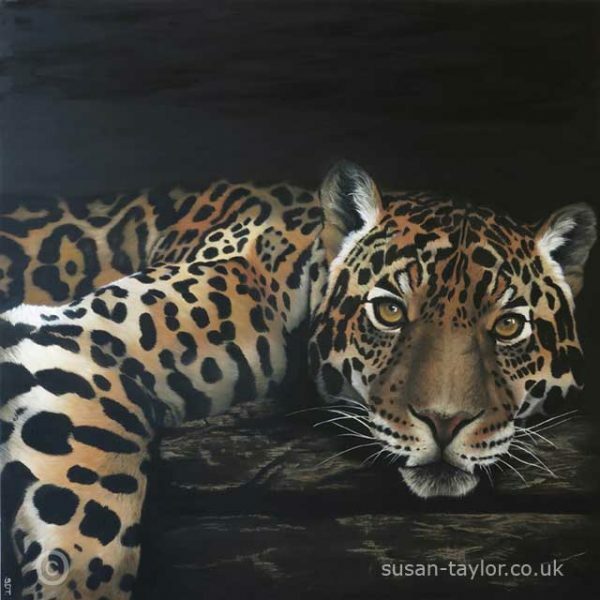 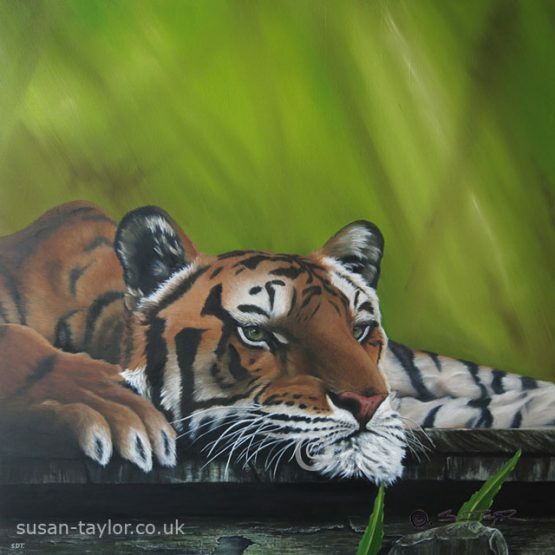 Tiger – just Chilling is a signed limited edition of 50. 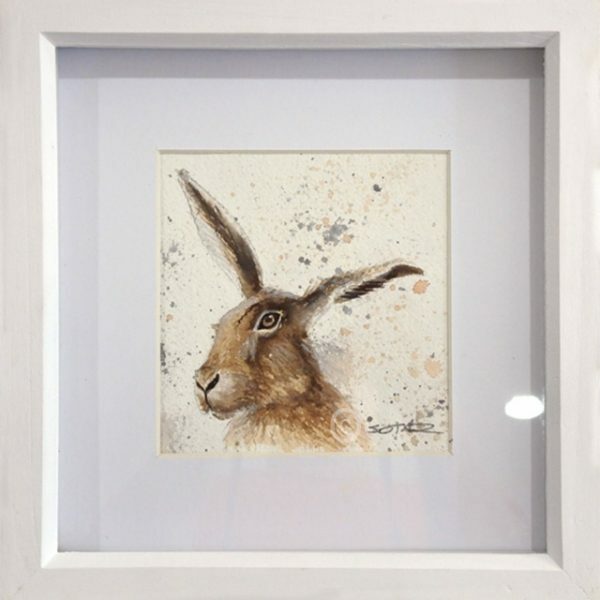 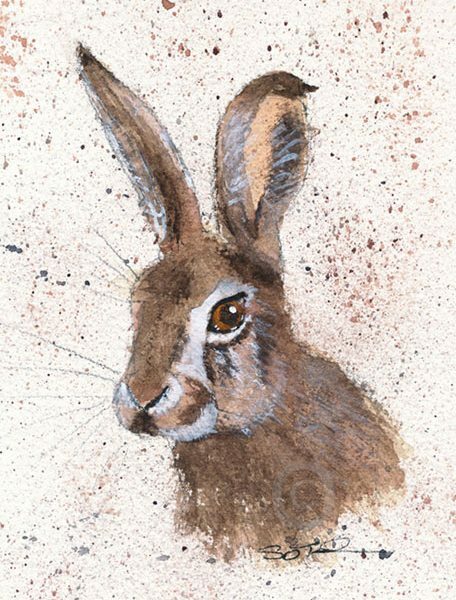 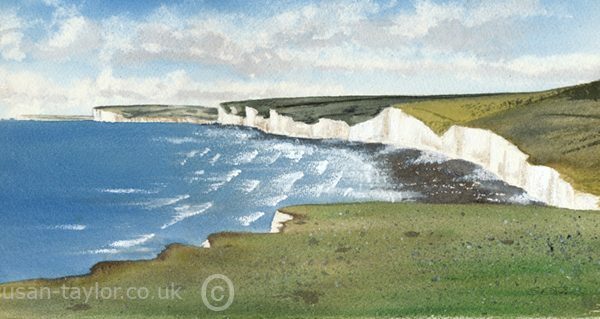 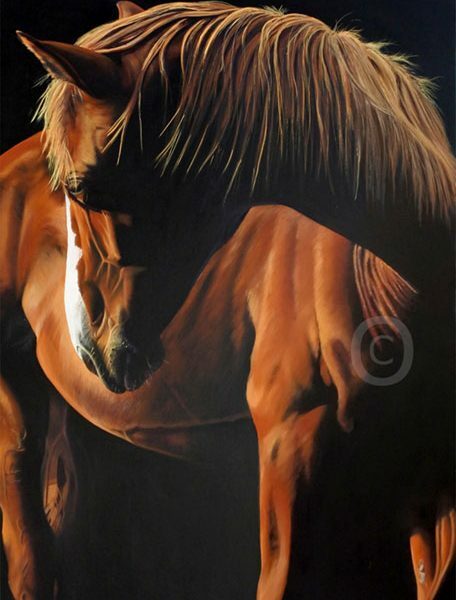 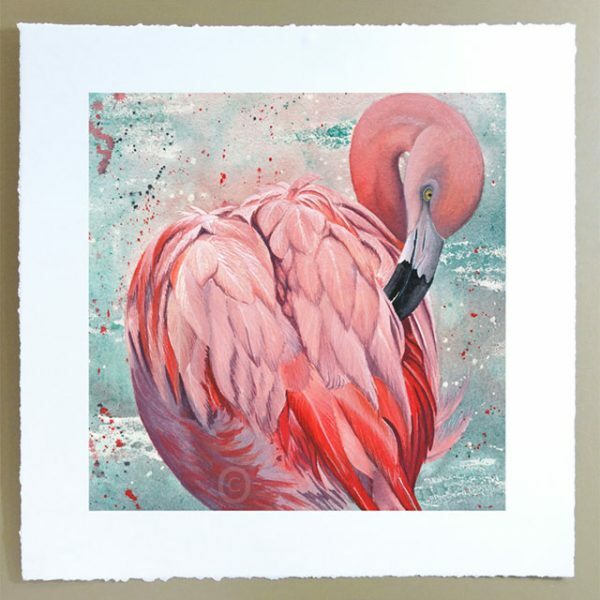 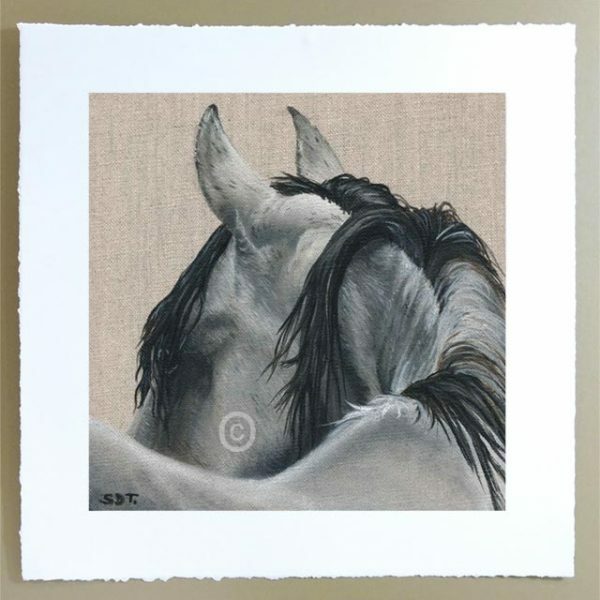 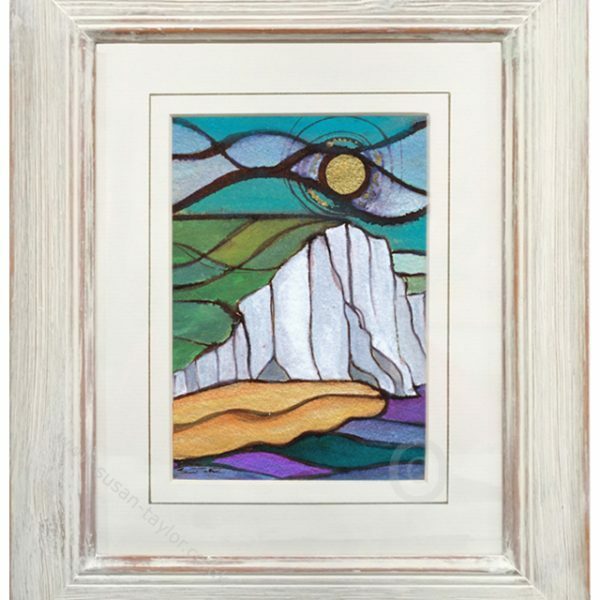 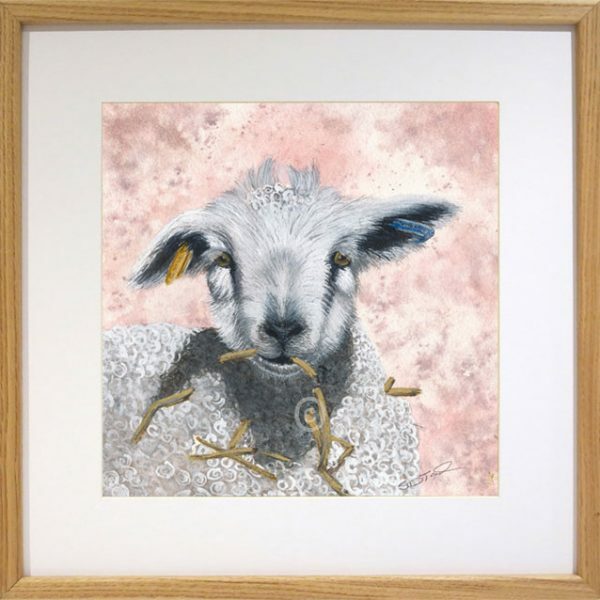 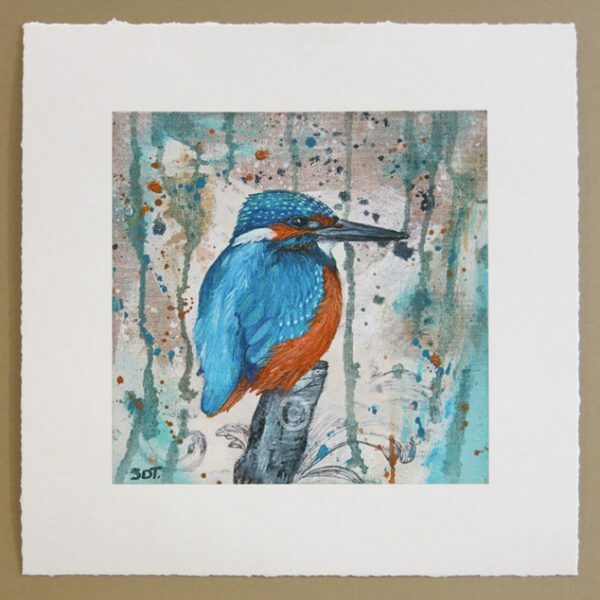 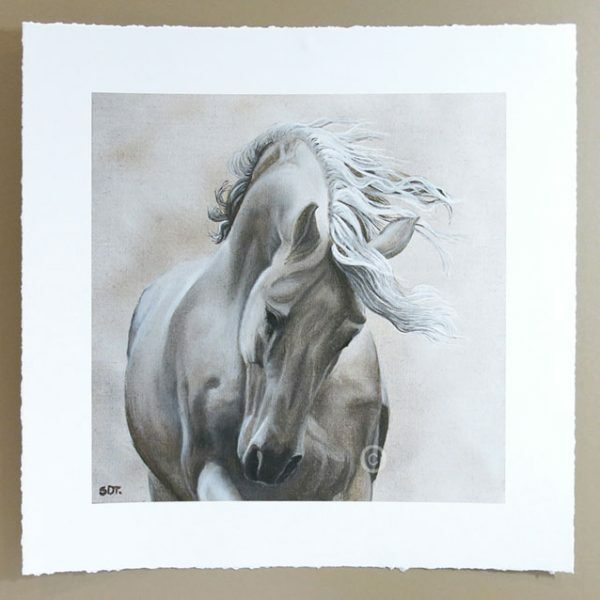 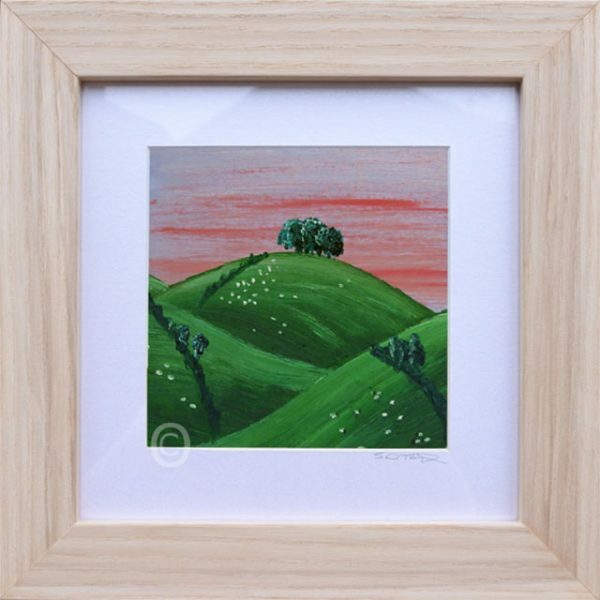 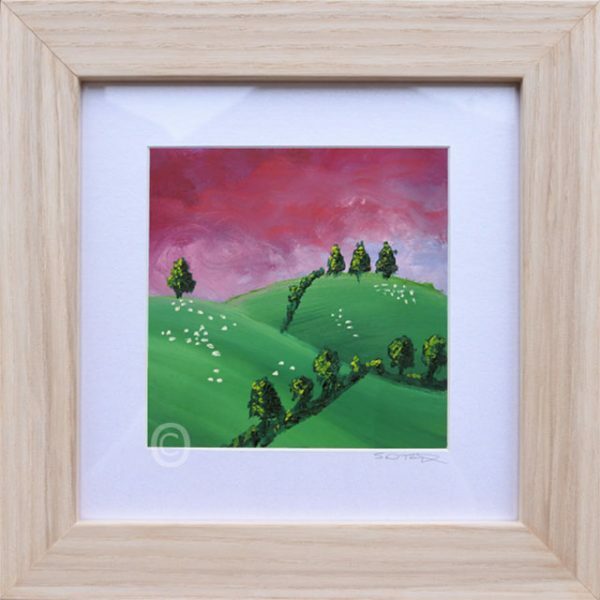 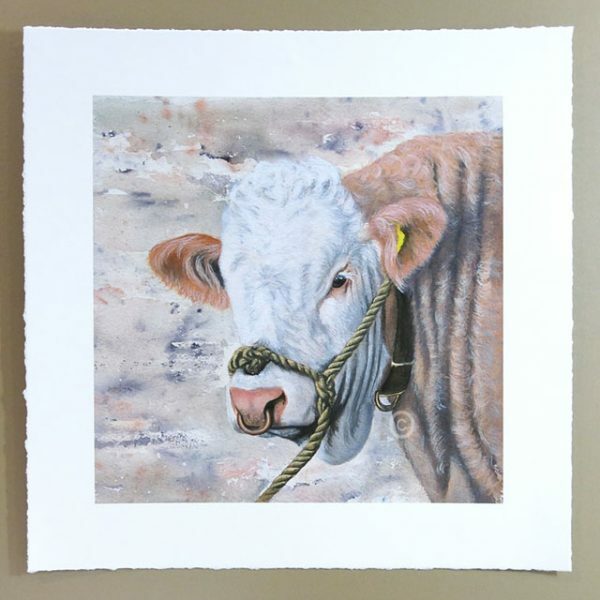 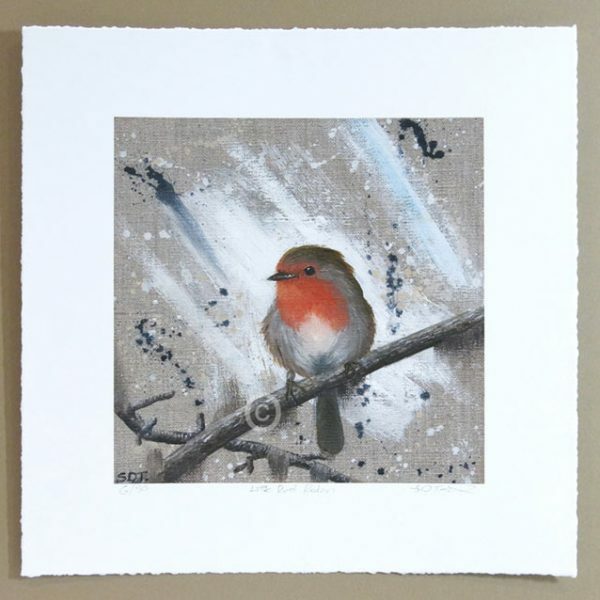 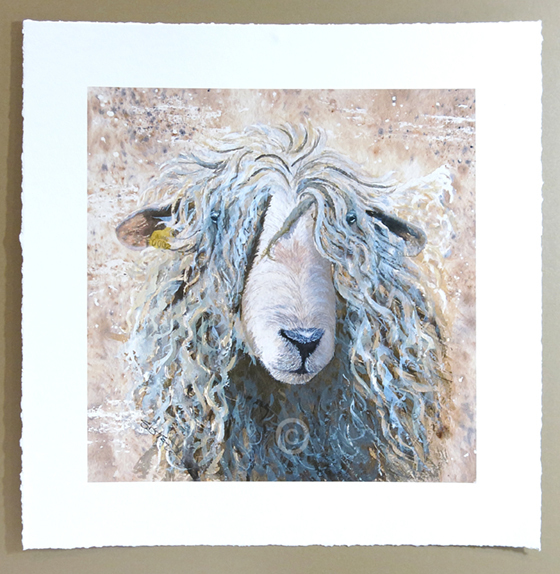 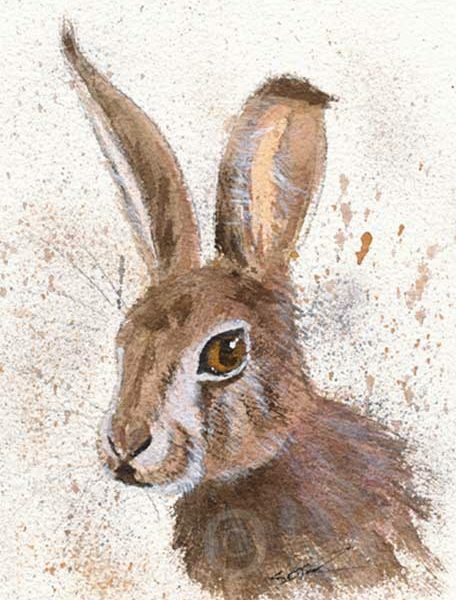 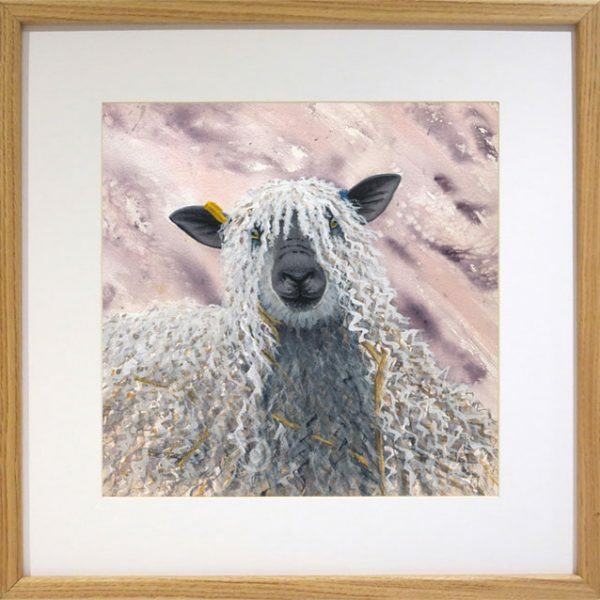 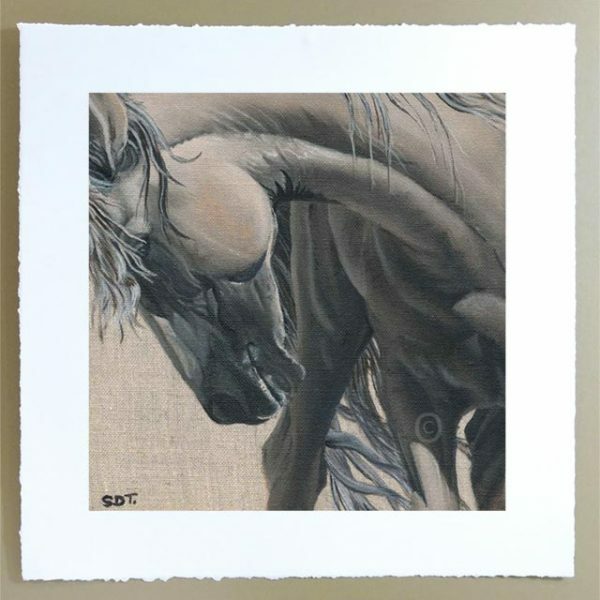 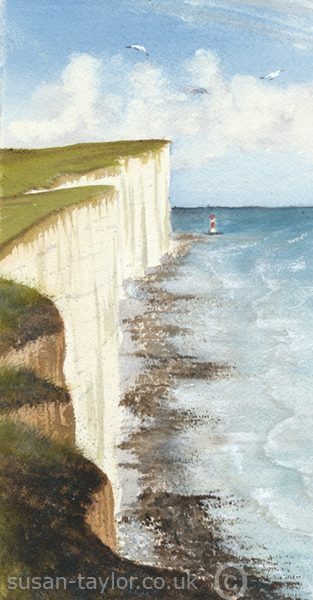 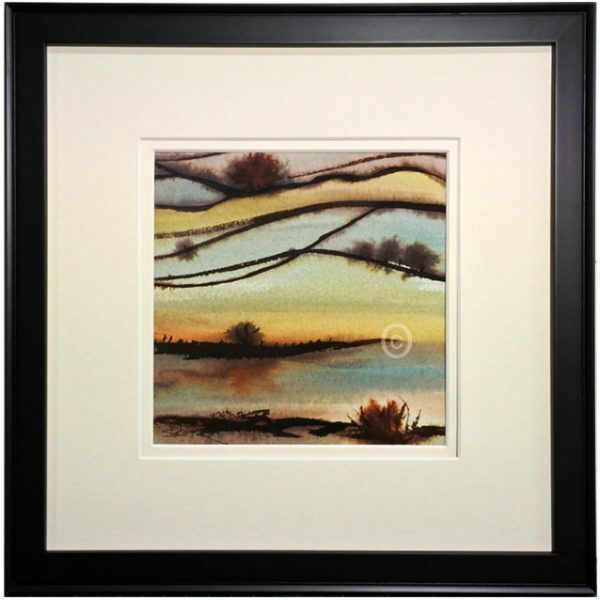 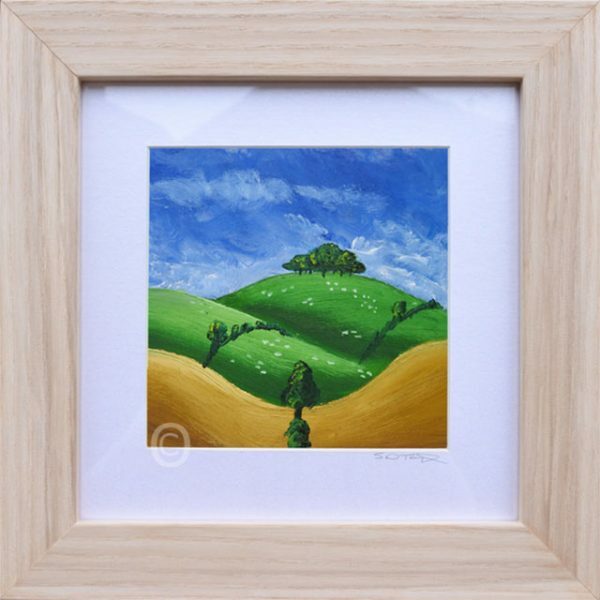 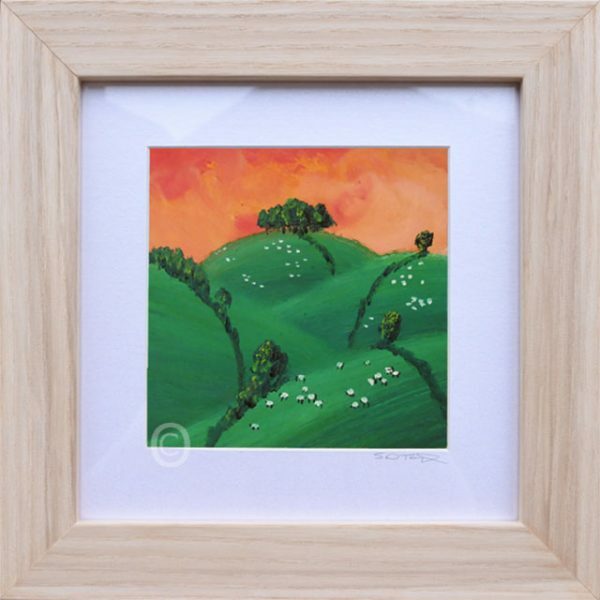 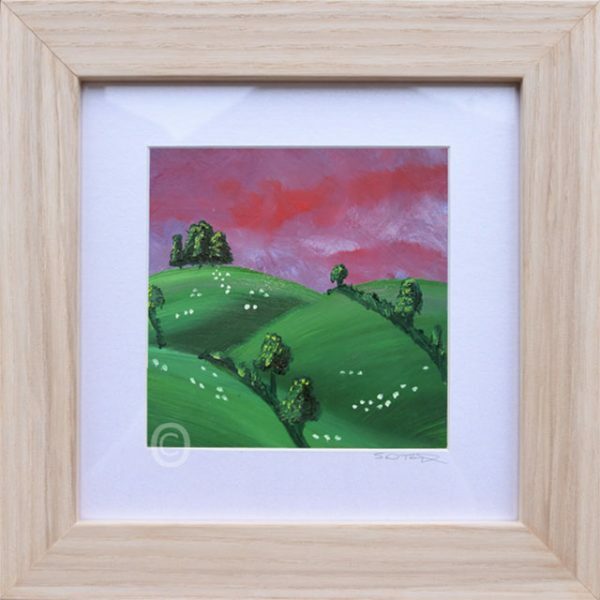 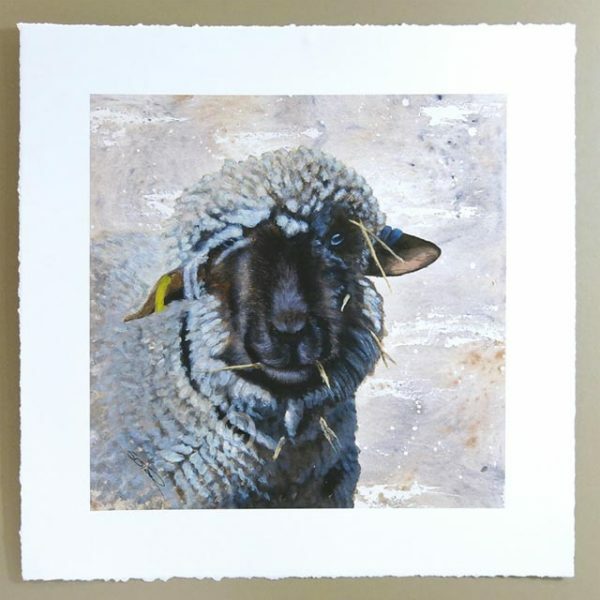 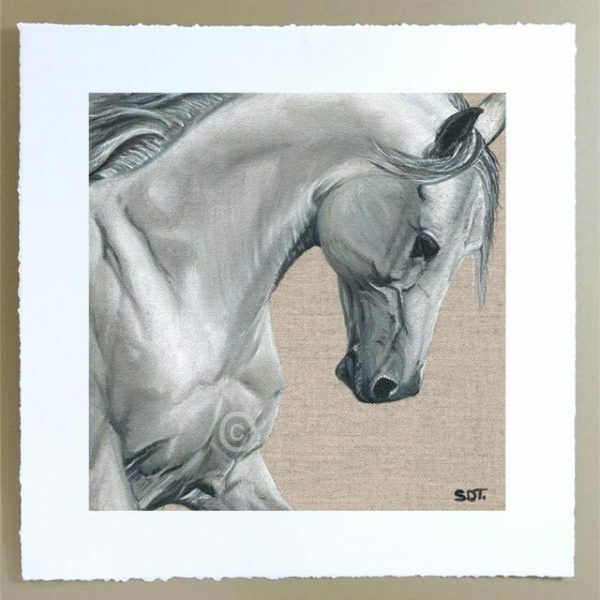 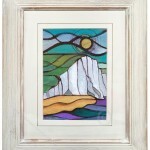 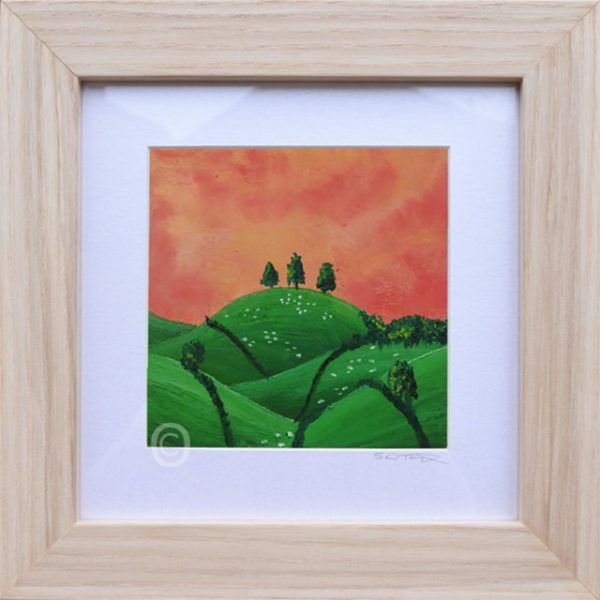 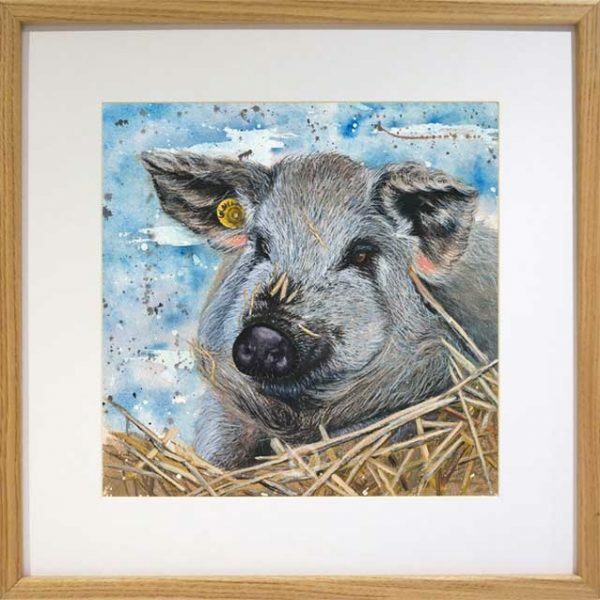 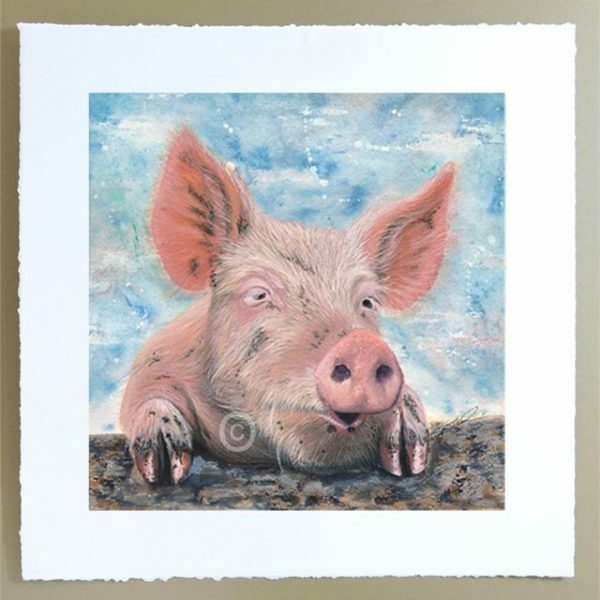 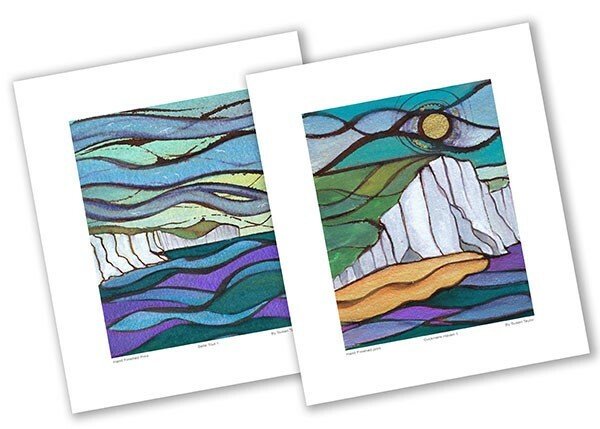 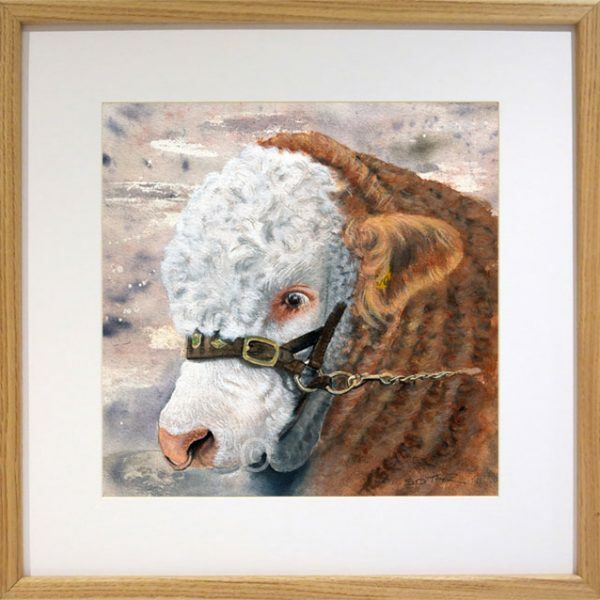 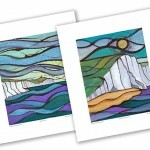 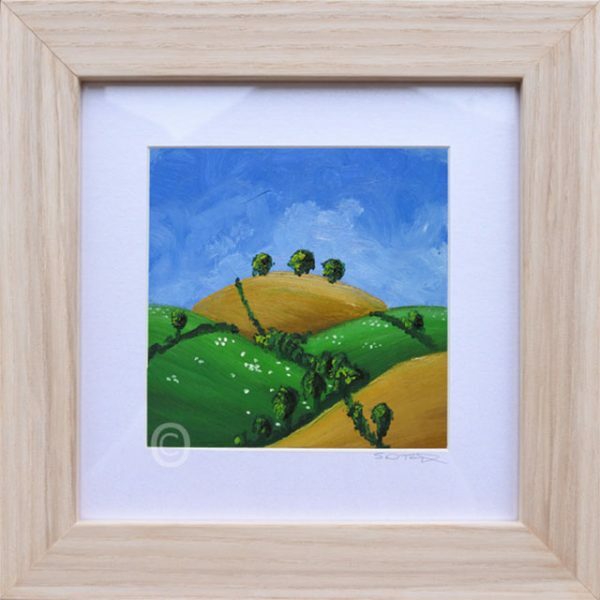 You can buy the print framed or unframed, the choice is yours. 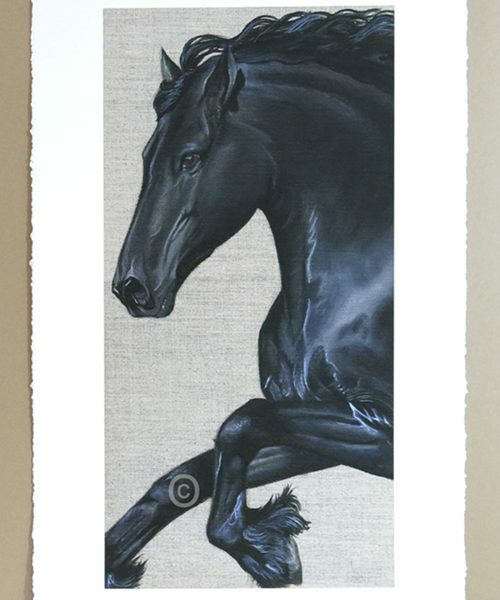 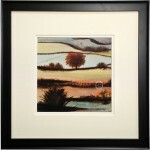 The framed supplied is 55mm Burnished black with bright silver back edge with ClearView-PlexGlas and soft white mount. 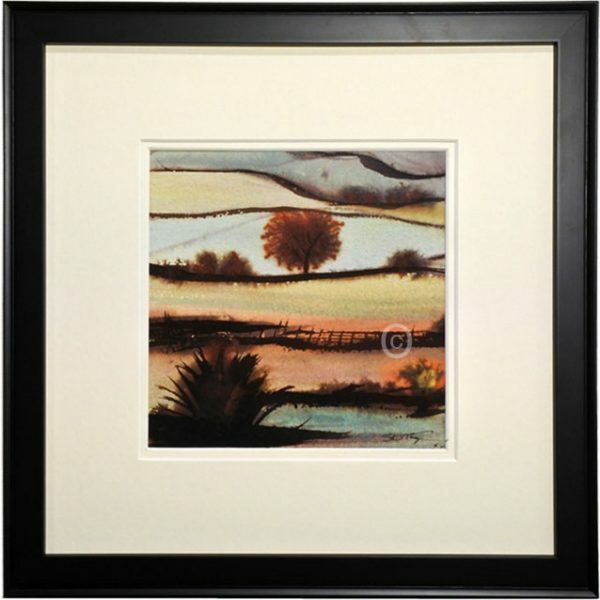 The framed size will be specified above.